We now have UI Elements for managing a user's working hours and calendar sync connections. This element provides a really simple way of giving your user's a powerful UI for controlling when they're available for scheduling. This stores the user's rules against the Availability Rules endpoint automatically. An element for showing the current status of all of the user's calendar connections to your application and allowing them to manage them. 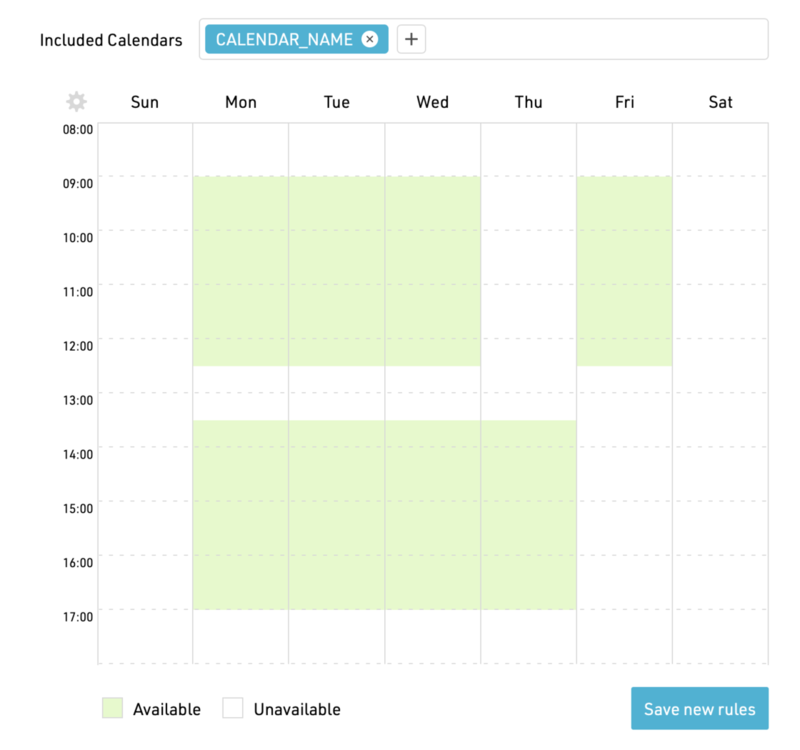 We've moved a series of enhancements to our Scheduling API from Alpha to Beta today. Beta features are designed to be used in production. The API is stable, They are being used by live customers. We're in the process of adding them to all of our official SDKs and more closely monitoring activity and performance under load. We've promoted the batch endpoint from Alpha to Beta today. This allows developers to submit up to 50 requests simultaneously in on API transactions. Ideal for initial sync when a user first connects their calendar to your application. We see our customers build similar UI elements to deliver scheduling solutions on top of the Cronofy APIs. So we decided to save you the work and build them for you. More information in the UI Elements documentation. Today we've launched a dedicated documentation site to cover all aspects of integration and connection support. All of our API documentation and tutorials are in the Developers section. We've introduced new areas for Calendar Administrators and Calendar Users to support your customers with connecting their calendars to your applications. Both account and profile status information now forms part of the UserInfo response. Surely Cronofy will start publishing changelogs very soon.